Support Seattle Indies on Patreon! Big news, everyone! Seattle Indies is now on Patreon! Seattle Indies Socialites ($1) will gain access to an exclusive Discord channel with early access to Seattle Indies news and event signups! Seattle Indies Supporters ($5) will have a digital Thank You doodle in their email inboxes every month, with art coming from local artists. Seattle Indies Superheroes ($15), our highest tier, will receive neat rewards like game keys, discounted event tickets, or physical swag such as magnets and pins! Our plan for Patreon is for it to be one of our foremost channels for people to pitch in and give back to the community, and we hope you guys are as excited about this as we are! For a sneak peek preview of our inaugural launch, our June Superhero reward includes Steam keys for Elliot Quest (console keys also available if requested! ), and our Supporter reward’s digital Thank You card was doodled up by none other than yours truly! 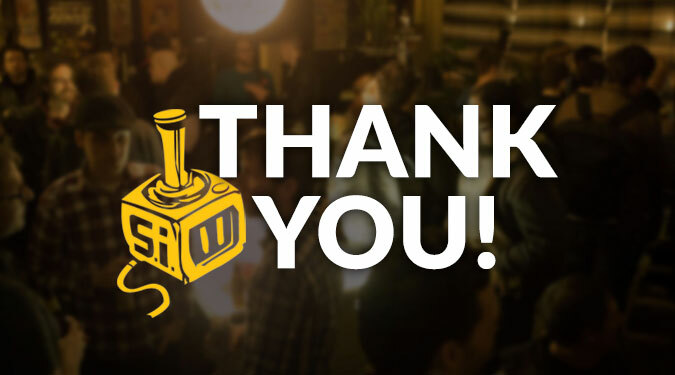 While we’re here, we’d like to sincerely thank all the members of our community for the amazing amount of support and encouragement they’ve already given us! If you’re looking for even more ways to help out, you can also attend our biannual Town Hall events or check out our Get Involved page for other ways to volunteer your time and ideas.